Pfaff 3813 11 -01 Auto seamer. 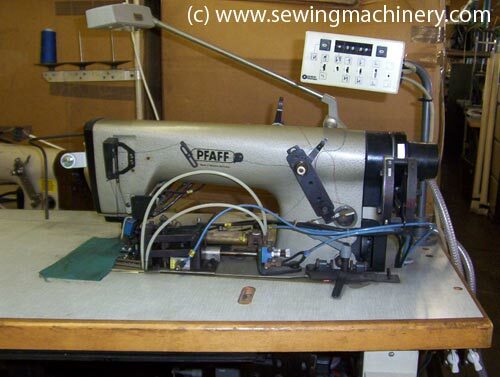 Special purpose top & bottom feed chain-stitch machine with electronic control, photo cell, air operator guide system. Old model but looks complete with little use, so chance of a bargain ? Sold as is untested for spares repairs usage to clear.